Jessica and I get asked quite frequently on this blog if we know a Bora Bora wedding photographer that we could recommend. While we haven’t worked with any photographers directly, I did seek out and find a local photographer that has been in the business for many years. Edouard Ott is a professional photographer for the international press who has worked on locations around the world, although he is lucky enough to call Bora Bora is home. If you are looking for a photographer to cover your wedding event in Bora Bora then Edouard Ott might be your guy. We asked Edouard a couple of questions about him and his services. Our email exchange is below. 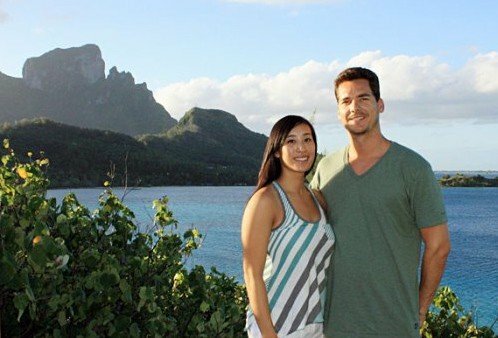 How did you end up in Bora Bora? Do you live there all-year round? I was photographer for a celebrity magazine for 15 years and in 2005 I was in Los Angeles when my agency sent me to Bora Bora for an interview with Sharon Stone. I was amazed by the beauty of the island and asked my agency to stay here. That was impossible at that time as not enough celebs were visiting the island to keep me busy. So I was sent to Maui Hawaii for 4 years and I would come for 3 months every year. I finally fell in love with my Vahine and married her. Now I live on the island all year around and just have to go back to Maui during the rainy season. I am still working for Corbis, a Bill Gates owned photo agency and I am the photographer for the US Bachelor reality show winner every year. My wedding photo style is evaluative and adaptive, I have a full range of styles that I adapt to my customers. Every wedding is unique and every couple has their own vision of pictures. From Japanese honeymooners to a 30 years of marriage vow renewal, my style has to adapt to their expectations. Most of the people have a precise idea of style they want as you can browse the internet to see a bunch of photos, and coming from around the world these couples bring me a different vision of style that fits their culture. Do you shoot film, digital or both? Any video? I am shoot in digital but I can have a videographer on demand if the client requests it. 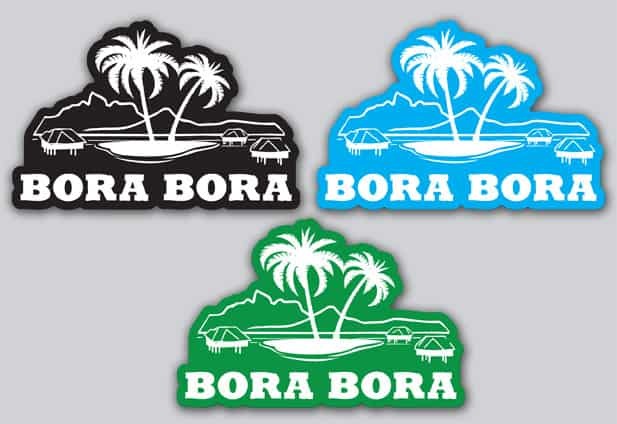 What do you enjoy about living and working in Bora Bora? What I most enjoy about living in Bora Bora is of course the beauty of this island but I really take pleasure in seeing the emotions that follow my day of work. I always like seeing the smiles from the dancers and musicians during a wedding, and the tears of joy when a couple exchanges their vows. This Island has never the same face, the light is changing all the time and I still get surprised by the nature exposed at his best. You seem to capture some of the most amazing personal moments. Can you share your process with us? It all starts when I meet the people. I have shot photos of celebrities from Brad Pitt to the Dalai Lama and a good joke makes people smile and feel confident. It’s hard to pose if it isn’t your day job and a lot of people hate getting their photos taken. I just make them laugh a lot. Your work is unique in many ways. Could you talk a bit about why you think that is. My style comes from my experience around the world with all those celebrity photos. If I want a cover photo for a magazine that millions of people will see the expectation is very high, I have to capture an emotion that people haven’t seen in movie and my photos have to be unique and reflecting the personality of this person. Thru my lens I can express who you are. What do you feel is the most challenging thing about photographing weddings? The biggest challenge about wedding photography is that it’s one take, it is a very unique moment full of emotions. Those lifetime memories are going to be shared with all the loved ones and even their grand children will get to see them. How do you choose which images you ultimately provide to your clients? Choosing the pictures is hard as I look for perfection, but I always give more photos than I am supposed too as I think that they will love all the nice pictures of them. I end up by just trashing the outtakes. How quickly do your clients get to see their photos? My clients usually get their pictures the next day. Do you bring assistants or second shooters with you? I work most of the time alone but I have an assistant for shades and for challenging situations. For those that would like to consider working with you, what’s the best way to start?